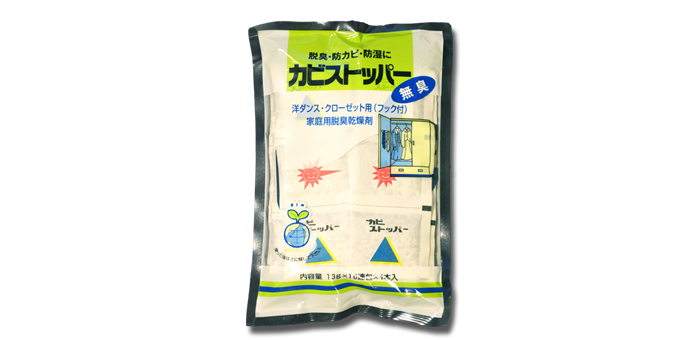 In 1975, as a desiccant for house, we firstly succeeded in developing house desiccant in Japan. We have various types for Japanese style chest, wardrobe, closet, and shoe box. By combining lime and activated carbon, Mold Stopper absorbs humidity and odor, and prevents mold from forming and keeps insects away.